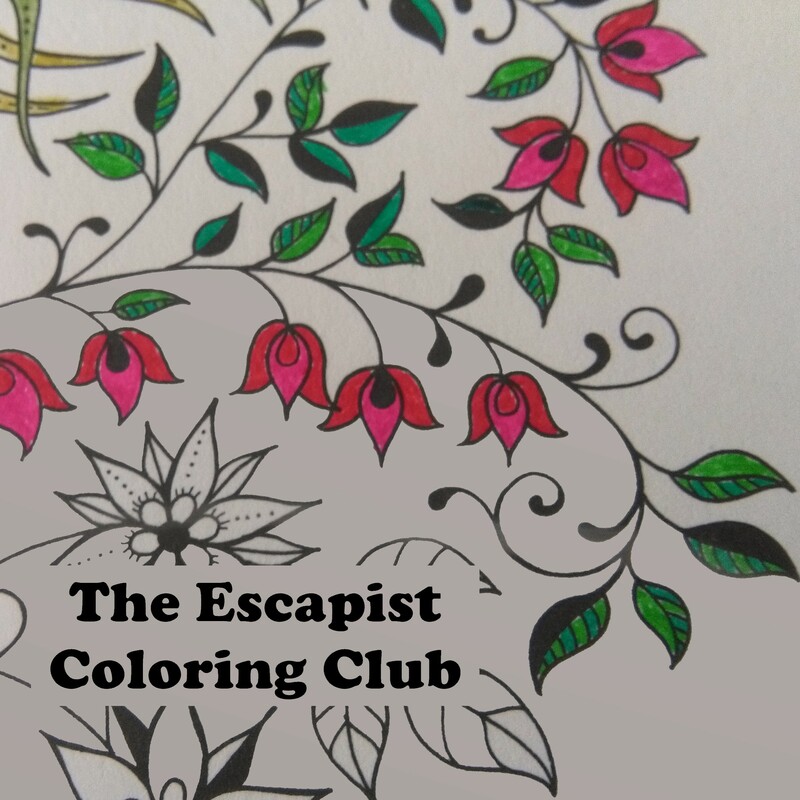 Welcome to The Escapist Coloring Club prompt! 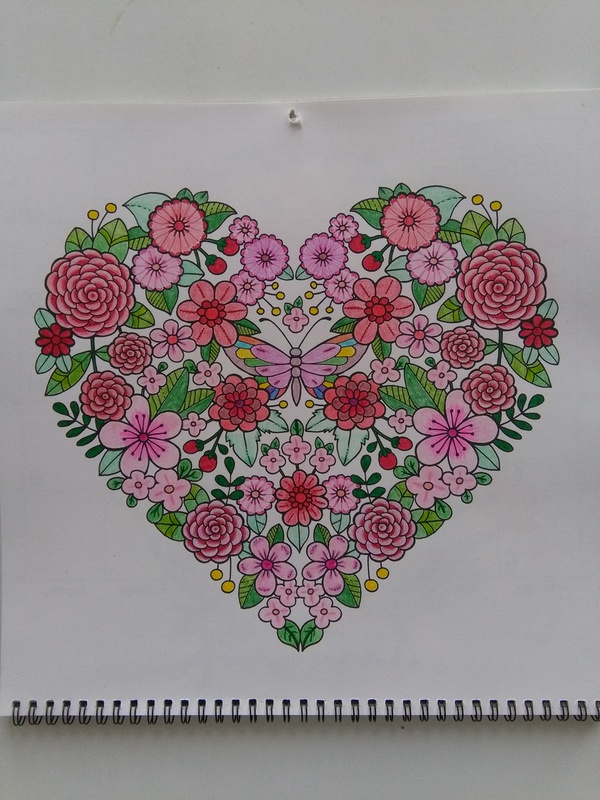 If you’d like to join the club, all you have to do is post pictures of your own colouring, your kids’ colouring, or that of anyone you know and have permission to share. 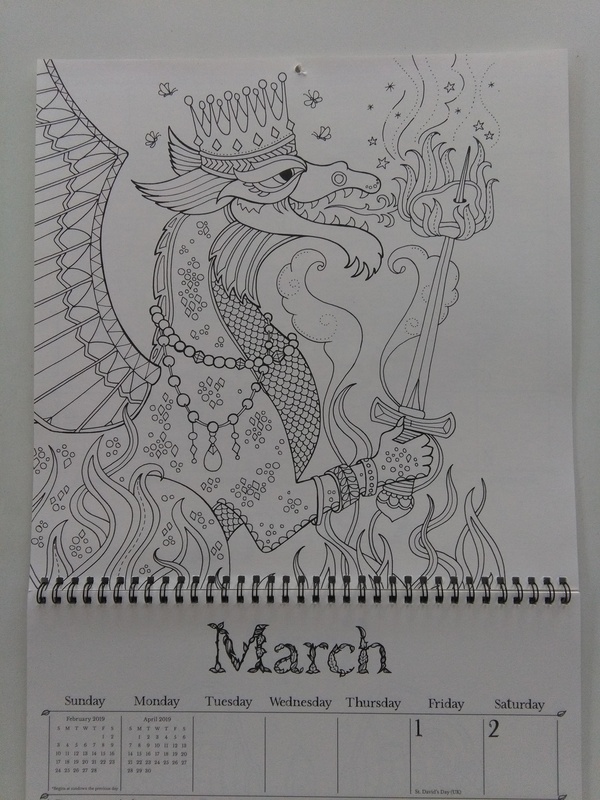 This is a month-long prompt, which means you have all of January to link back here. Participation has been dropping off for the past couple of months, and I totally understand. I haven’t even been keeping up myself very well. 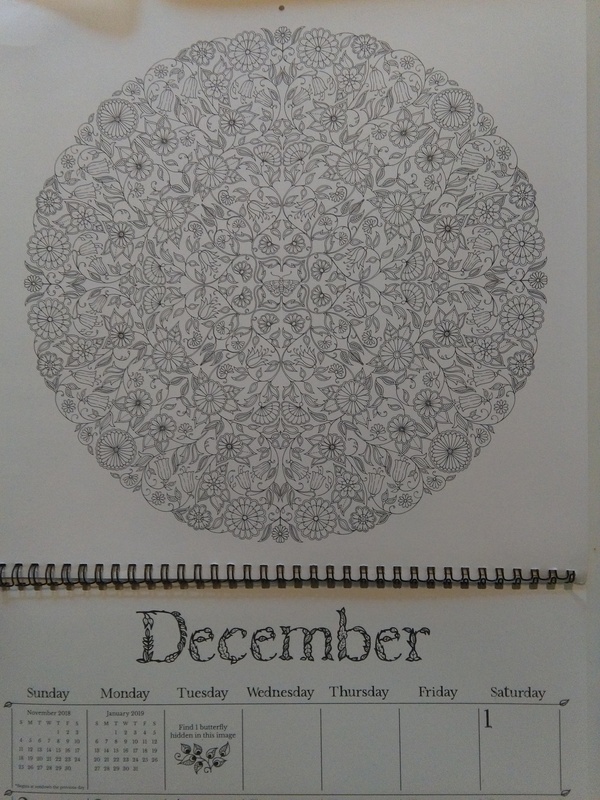 But I have a new calendar and a brand new determination to take some time for myself, and I hope you do too. 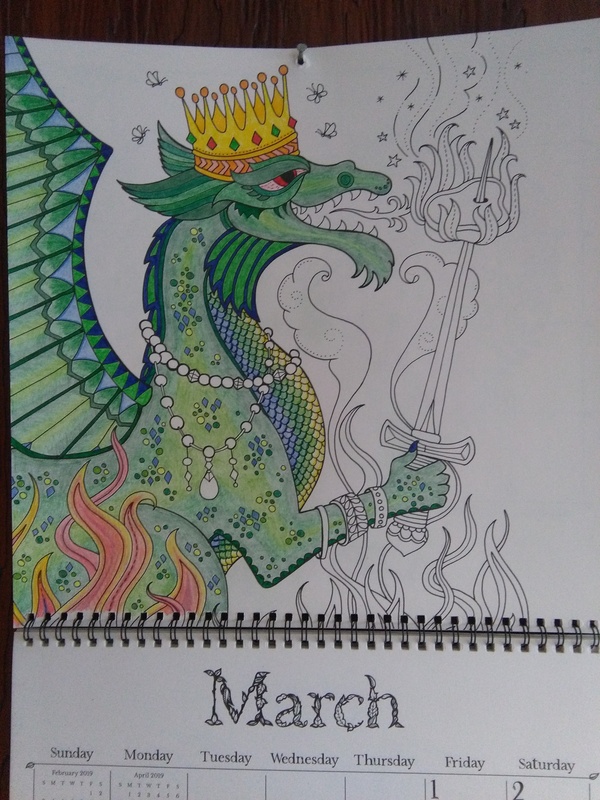 I almost got my crazy-detailed colouring project done. I figured there was no way, but had I had the last few days of December to work on it, I coulda done it! 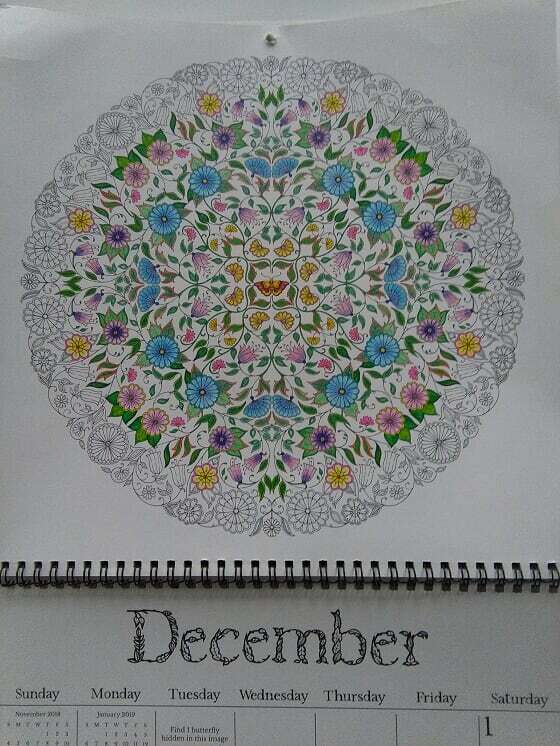 Here’s to a new year of relaxation, escape, and colouring magnificence! 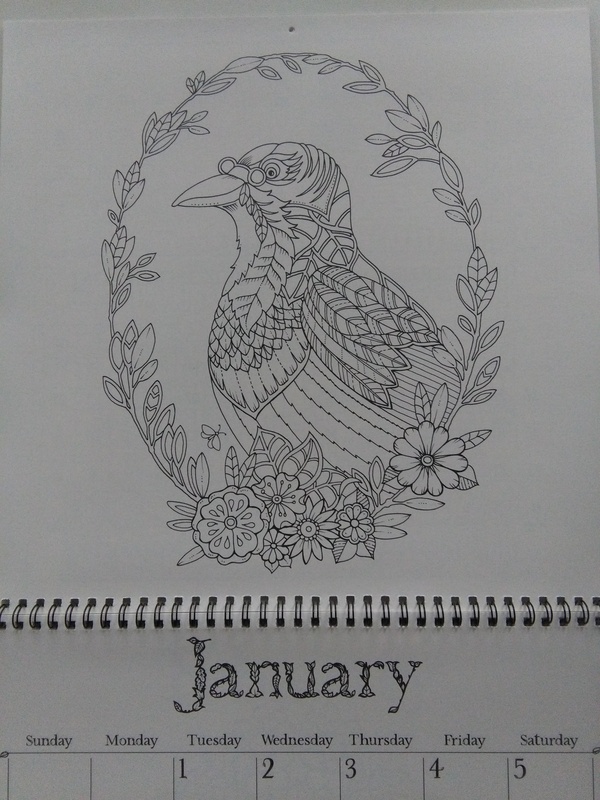 Welcome to The Escapist Coloring Club prompt! 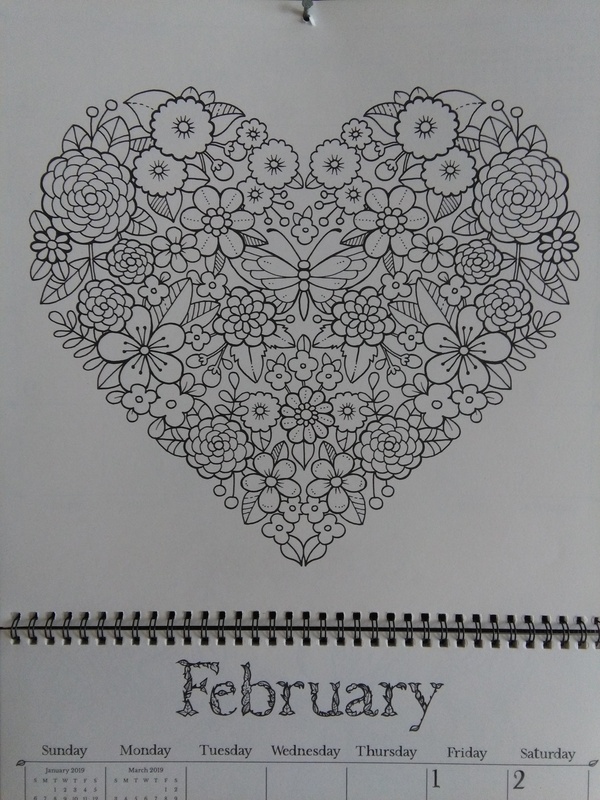 If you’d like to join the club, all you have to do is post pictures of your own colouring, your kids’ colouring, or that of anyone you know and have permission to share. This is a month-long prompt, which means you have all of December to link back here. 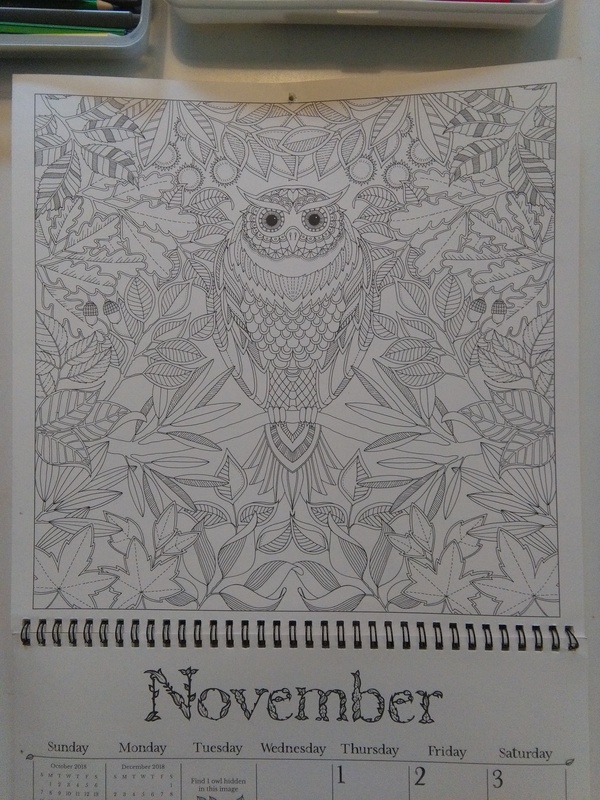 Well, November was my biggest failure to date. But in my own defense, I did write a novel. 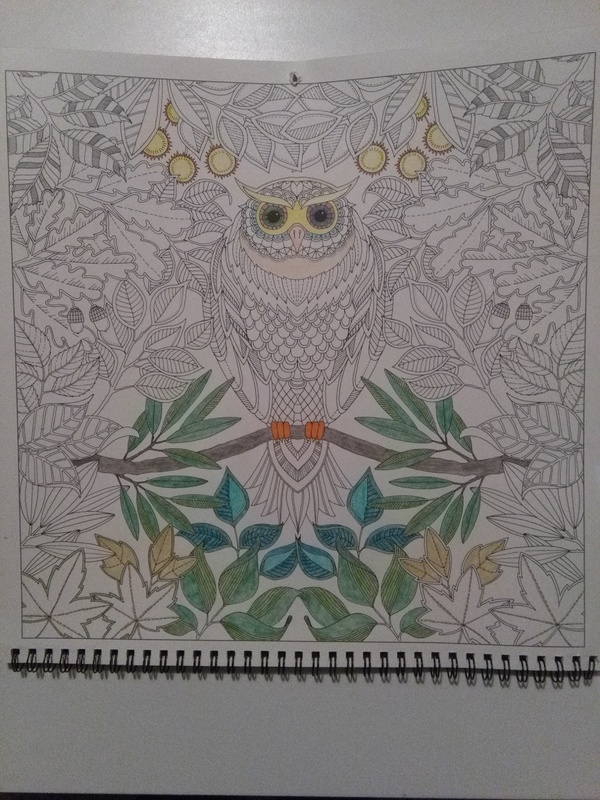 I planned to colour all the leaves in green and make the owl very colourful. All month I’ve been looking at it hanging on my wall and rolling my eyes, knowing I should work on it but deciding to write instead. But last night when I made one last-ditch attempt to do some more, I realized why I enjoy it so much. 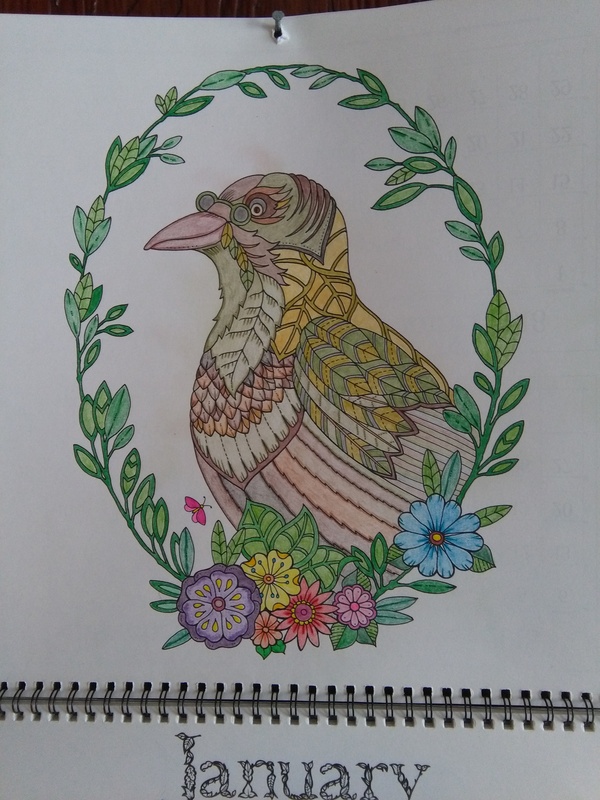 How relaxing it is to colour. In an unprecedented move, I’m going to show you December’s project, so you can see why, unless I don’t sleep, I won’t get it all coloured. But you know what? I think I’ll give myself permission to just do the best I can. No pressure. That’s what relaxing is all about, right?